The Retail theme supports the display of your products in either 2, 3, 4, 5, 6, 7 or 8 columns (products per row) on larger screens such as desktop/laptop. 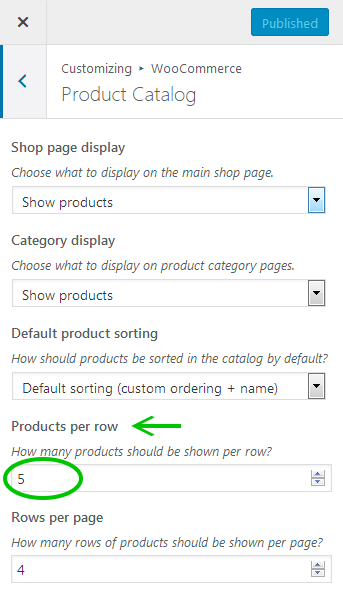 On smaller screens such as mobile phones, the product columns will display in two columns regardless of the ‘products per row’ setting. 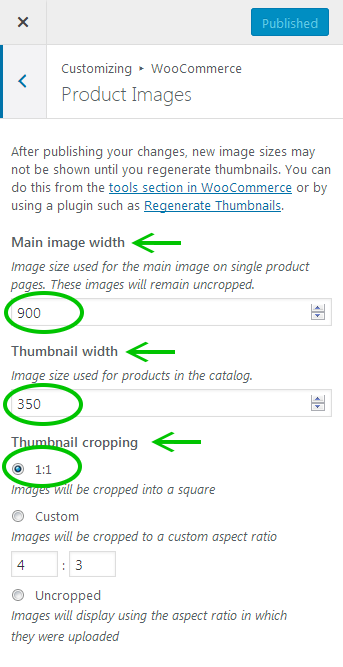 In the demo of the Retail theme, we set the ‘Main image width’ to 900px and the ‘Thumbnail width’ to 350px with ‘Thumbnail cropping’ of 1:1 (cropped to a square). We found these settings to work well with the 5 ‘Products per row’ setting we are using on our demo. Of course, you should consider changing these settings based on the products per row and the container width setting you have chosen for your site.